Masterclasses in Adobe Creative Cloud tools certify your design skills. Graphic designers know their way around Adobe's Creative Cloud apps Photoshop, Illustrator and InDesign. They are the applications experts rely on and are packed with tools to help make your work truly shine. You can master these programs with the Graphic Design Certification School. Get it on sale now for just $39 (approx. £29)! Adobe's suite of creative apps have become essential tools for bringing digital art to life, and you can learn why experts love these tools with the Graphic Design Certification School. 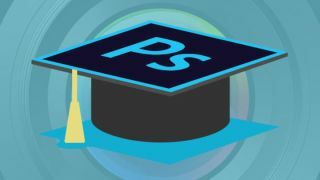 This bundle of three courses will teach you how to make the most of Adobe's powerful design tools Photoshop, InDesign, and Illustrator. You'll get lifetime access to expert-taught lessons that will show you how to take your ideas and bring them to life on screen. You can also get certifications to prove your skills after each course you complete. The Graphic Design Certification School is valued at over $1,197, but you can get this incredible bundle of courses on sale for just $39 (approx. £29). It's a deal you won't want to miss, so grab it while you can.